Step #1 – Count how many players you have total in your club or on your team. Step #2 – Figure out what your current practice and game schedule is. Step #3 – Google “Athletic Training (insert your town/city)”. Step #4 – Call and talk to one of the results from step 4. Step #5 – Repeat steps #3 and #4 until your have talked to a professional trainer. 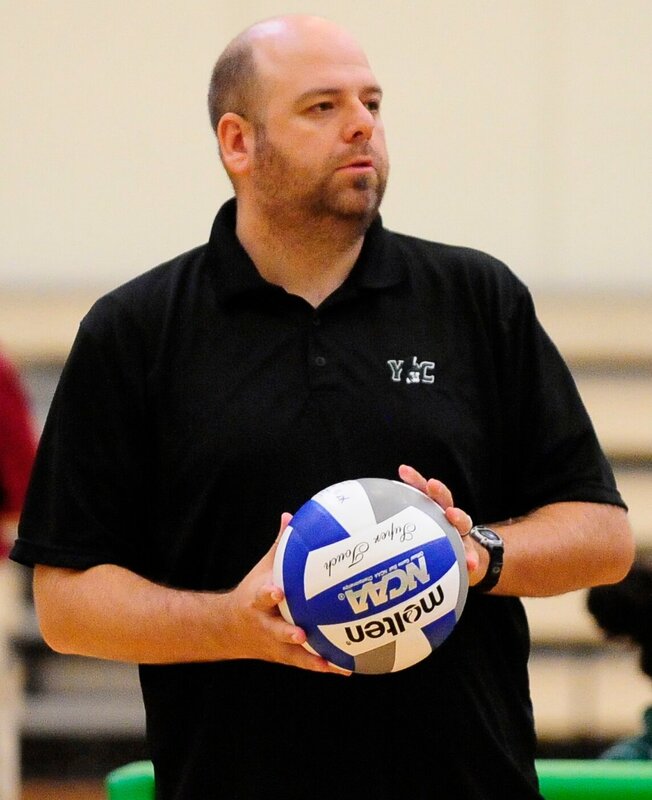 Club Volleyball – I hate to tell you this, but doing 20 minutes of conditioning at the end of practice twice a week does not really do much, except make your players dread the end of practice. You can run them, box push them, and burpee them all you want. You just are not going to see many results. High School – If you start your training when you start your season, it is too late. There is usually a very small window from when your practices start and your matches begin. While you are usually in the gym more than in club volleyball, it is a futile attempt. Magic Bullets – If you take anything away from this post, please let it be this. Stop buying, downloading, and using P-90X, Insanity, and Air Alert. They are not designed for kids or young adults, they are not designed as a supplement for your volleyball program, and they are most likely doing more damage than good. This brings me to steps #3 and #4 above. Take the time and find a professional. Call or e-mail them. You will most likely find someone that would be willing to do a basic plan and come in a little for free advertising or very little cost. You do not need to supply every kid with an amazing workout plan. You just need to set something up for off-season, pre-season, and in-season training. Most trainers will tell you that if you run your drills correctly, the in season training will be a snap. If you are lucky enough to work at a larger school, you may even have someone on staff already. You can always offer a spot in your program, or offer to put their cards/pamphlets out at games. Since most trainers work on a “per person” basis, they are always looking for clients. You should have a program developed that your players can do on their own time as well. Obviously there needs to be some supervision to make sure proper technique is used, but you don’t have to sit over them every day. I would suggest meeting with the team once a week to see them workout. The trainer can also do a program for yearlong success. You can have it catered to your demographic. If your kids have access to a weight room, they can use it. If not, home workouts can be developed. The key is taking the time and talking through all the issues. The bottom line is this. You would never attempt diagnose or rehab one of your players injuries (unless you are a certified trainer), so why would you want to try and be a personal trainer to your players. Let and expert set up the plan and guide you. I will let you in on my dirty little secret. I hold my B.S. Health and Fitness (insert jokes about me being overweight here), and I am a certified NASM CPT (personal trainer). I still go to an outside source to develop my teams’ plans. I would rather have someone who does this day in and out prescribe a plan, than myself who is going for their sports psychology Masters. So take the time and talk to a professional and give your players not only an edge when it comes to conditioning, but always a safe path to get there. Reality for most coaches is that we do not see the players until just before season starts and loose them right after. We also have zero budget for any kind of professional. I coach at a small school that needs athletes to play multiple sports. In some ways, that does keep them in some sort of shape. I have developed a few things to combine conditioning right into practice. One I call Rapid Fire. It is offense vs defense with offense receiving every ball IMMEDIATELY when a ball hits the floor. Balls are introduced by players on the ‘defensive’ side serving, driving, down balls and freeballs. After 3-5 minutes sides are switched. 10-15 minutes of this and they are gassed along with getting in a lot of touches. This along with several other things dropped in throughout practice helps get and keep them in shape. Stan: You hit the nail on the head. If you design your practices to have the kids moving a lot, you won’t need much “special” conditioning sessions. As for the budget issues, I would suggest reaching out to any local colleges. I know a lot of colleges have students get certfied as strength coaches well before they graduate, so maybe they can help you help. It is a great resume builder for them, and “free” work for you.